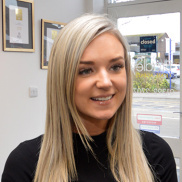 I started with Bradleys in 2016 as a negotiator after working for a corporate firm in the lettings sector. I really wanted to develop my career and reach out to the sales side of the industry and an opportunity arose within Bradleys. In all honesty my only regret was that I didn't make the move sooner, to work for a company that truly cares about your development and that has such a high focus on customer service really makes all the difference.